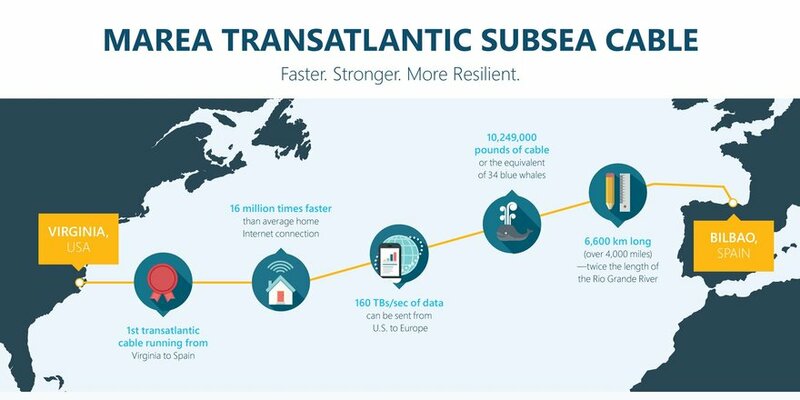 Microsoft, Facebook, and Telefónica’s infrastructure subsidiary, Telxius, have announced successful deployment of a 6,600km (4,101 mile) transatlantic cable linking Virginia Beach to Bilbao in Spain, thirteen months after work began. The eight-fiber cable, Marea, is “about 1.5 times the diameter of a garden hose,” and is either laid on the ocean floor at an average depth of 11,000 feet, or buried, to avoid damage from fishing boats and ships. It is expected to come into operation early next year, carrying data at speeds of up to 160 Tbps. Marea was built to improve Facebook and Microsoft’s network capacity and their respective resilience – especially relevant, the companies state, in light of recent hurricanes and tropical storms wreaking havoc in the southern states of the US - as the landing stations are a distance away from their data centers. Meanwhile, Telxius, which managed the construction work, will also be charged with operating the cable. 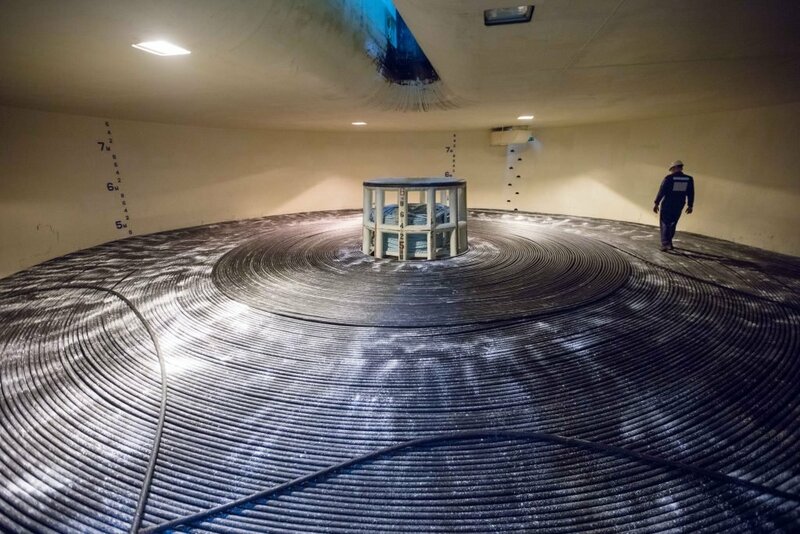 A launch event will take place on Friday, where business and government representatives will discuss the cable and its implications on businesses and the local economy.